It's so easy and simple to get started with Seacret Direct and there is so many opportunities for being wealthy. Its amazing compensation plan will ensure your success as a new entrepreneur. Follow these easy and simple steps for enrollment and start watching your business grow! Enrollment fees are only $49 (US) and $59 (CAD) per year. Choose your country. Right now Seacret is available in 6 countries including US, Canada, Mexico, Australia, Japan, and Korea. Each year, it will expand into another country. That is why you have many opportunities to be wealthy. After choose your country, then choose your launch tool kit by clicking on the Join Now. Select one of four starter packages to get you started and ready for your first ‘Wow’ Spa Party. There are 4 packages including: Professional set ($1,699USD), New Special Agent Set ($1,450USD), New Premium Set ($550USD), and Basic Set ($150USD). 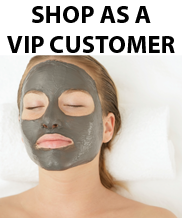 You will get more benefits if you purchase the higher packages. 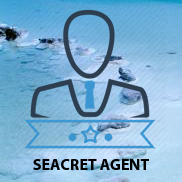 By choosing the professional set or Special Agent Set, it will equip you for the highest level of Team Commission at 15% and unlocks your first generation Check Match. If you choose the basic or lower package, no problem, you still have benefits and you can upgrade later to get higher team commission. You can find out 7 ways of build wealth with Seacret here >>> 7 ways of building wealth with Seacret. You can choose your own bundle or replenishment. Or you can skip this step by clicking on "No thanks". Later you can build a bundle or replenishment if you want. Just check what you choose. You will fill in your information including your personal information, shipping information, billing information, and then confirmation. I am here help you start with this great opportunity. Please let me know which do you concern.